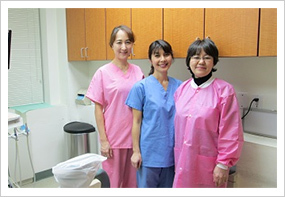 OJFD dentists have been treating and diagnosing patients for over 20 years in New York City and the Westchester area. OJFD dentists are very highly trained by American Dental Association accredited hospitals and schools in the United States. All dentists have 2-3 years of additional training beyond regular dental schools such as Columbia University, New York School of Dentistry, Tufts School of Dentistry. We are here to treat all of your dental needs. We strongly recommend that you have a recall visit every 6 months. This visit consists of a dental cleaning, check-up, and some x-rays if needed. We are sure that you will be content with our preventative treatment methodology. At your request, we can send you a recall card or call you for your future cleaning. 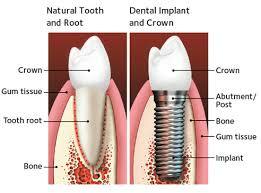 Dental implants are an effective way to replace missing teeth. When teeth was lost because of disease or cavity or an accident. Dental implants may be a good option. Implants to replace a single tooth or several teeth, or to support a full set of dentures. Implants are posts surgically placed into the upper or lower jawbone. They replace the root of one or more missing teeth.